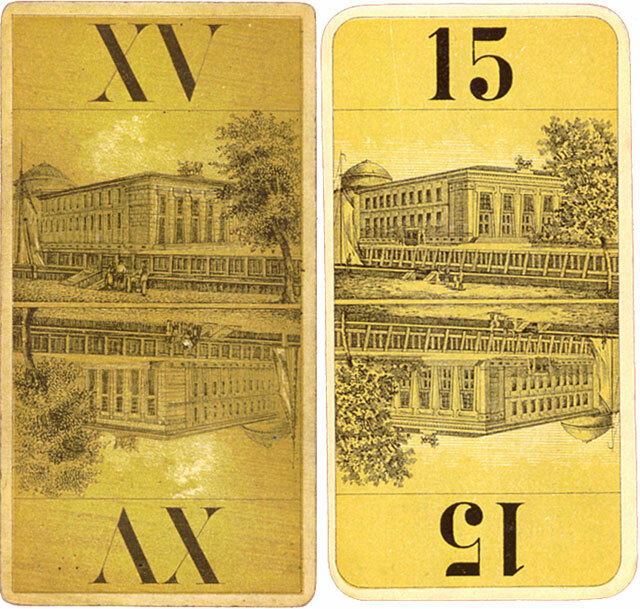 Below: two versions of trump no.15 depicting the Thorvaldsen Museum, completed in 1848. In the Salomon editions (right), Arabic numerals replace the Roman ones. Images courtesy Hans Jørgen Hinrup and notes taken from his article published in The Playing-Card Vol.31, no.5, IPCS London, March-Apr 2003.